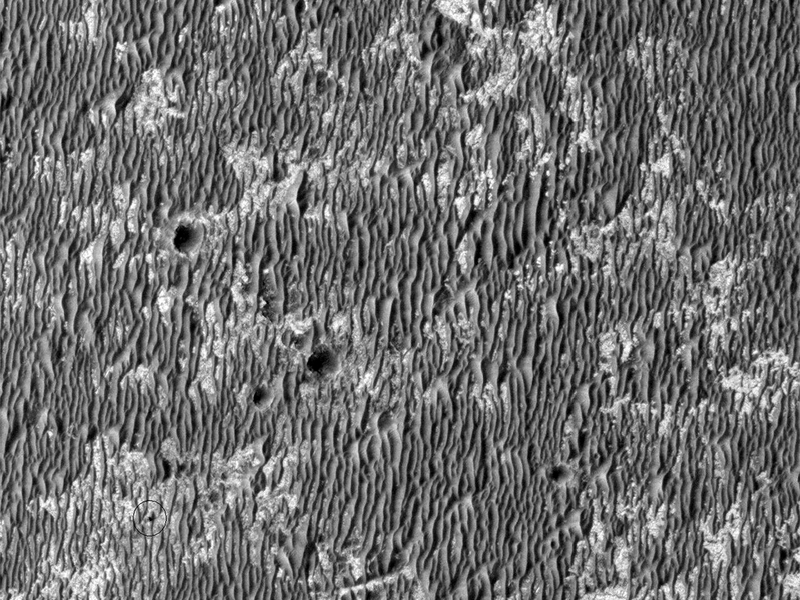 This subimage, about 400 meters across, shows the Mars Exploration Rover Opportunity (circled at lower left). The image was taken during the afternoon of Opportunity's 1783rd sol (Mars day) on the Red Planet. Opportunity had driven 130 meters on the previous sol; wheel tracks are visible crossing dark ripples to the upper right of the rover. The ripples, which trend mostly north-south in this area, can be easily crossed by the rover unless they are very large (such as those right of center). 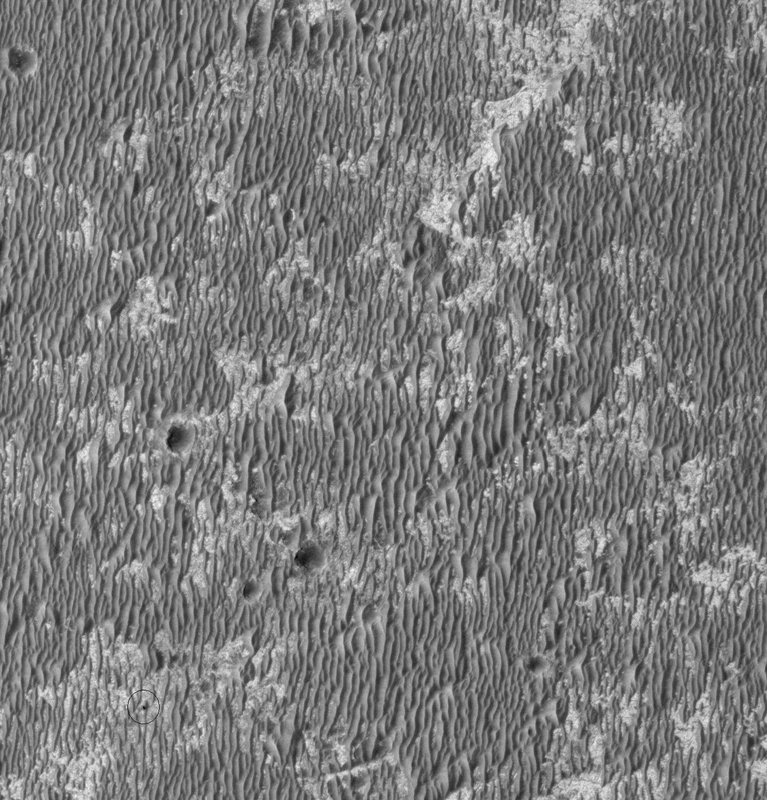 The availability of HiRISE images of the terrain that Opportunity is crossing allow traverses to be planned in detail, avoiding potential hazards and targeting features of interest (such as the small craters below and left of center). 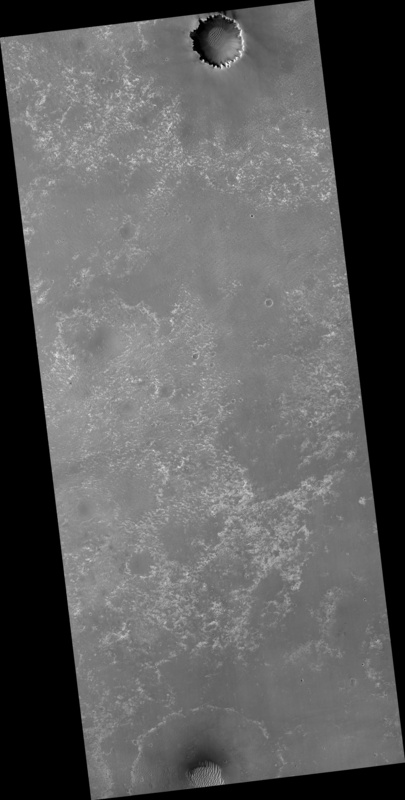 HiRISE images are routinely used by the Opportunity operations team for these purposes, and to plan the route to distant Endeavour Crater, the long-term goal of Opportunity's mission, about 17 kilometers to the southeast. This is a stereo pair with ESP_012820_1780.